Syria has become a headache for Ankara as an aftermath of its official support for the Syrian opposition. Historically, Syria and Turkey have never been good neighbours, therefore the security and hard power tools were adopted in the foreign policies of both. Syria’s concern over Ankara comes from different factors such as geographic, military and regional alliances, particularly during the Cold War. Hence, Damascus felt its vulnerability with Ankara and used different cards to reduce this. Syria has used the Kurds as a military card against Turkish interests, at the same time Turkey using its relations with Israel to drive Syria in a direction that serves Ankara’s interests. 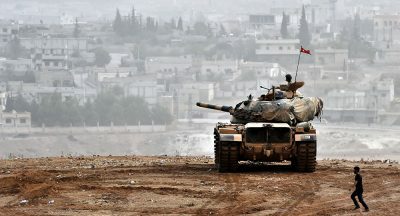 The new approach in post 1998 Turkey-Syria relations came following high tensions between the two which resulted in military threats by Ankara, declaring a military operation against Syria when the latter used the PKK as a political and military card against Ankara. Several agreements had been issued to ease tensions, the Adana agreement being the most famous, facilitating friendly relationships between the two countries. In addition, the AK party came to power with a new regional and international agenda based on soft power and a proactive foreign policy. This new approach therefore improved the normalization process of Damascus-Ankara relations. For instance, the zero problems with neighbors as a new principle in Turkish foreign policy has been adopted with Syria, and becomes the successful story in modern Turkish foreign policy in Middle East. However, the Arab Spring and the new political and security situation have changed the political reality, and caused new political realities on the ground. The Syrian war was the main factor that changed Turkish priorities and its soft foreign policy in the Middle East. Ankara has international and regional concerns in Syria, the international concern related to the balance of power with Russia, and the political differences with the US on several issues such as the safe zone in Aleppo that Ankara believes will solve the humanitarian tragedy and enable the opposition groups to reach a victory over Bashar al-Asaad. In addition, Turkey has regional concern that includes Kurdish nationalism, and the Iranian expansion in Syria. 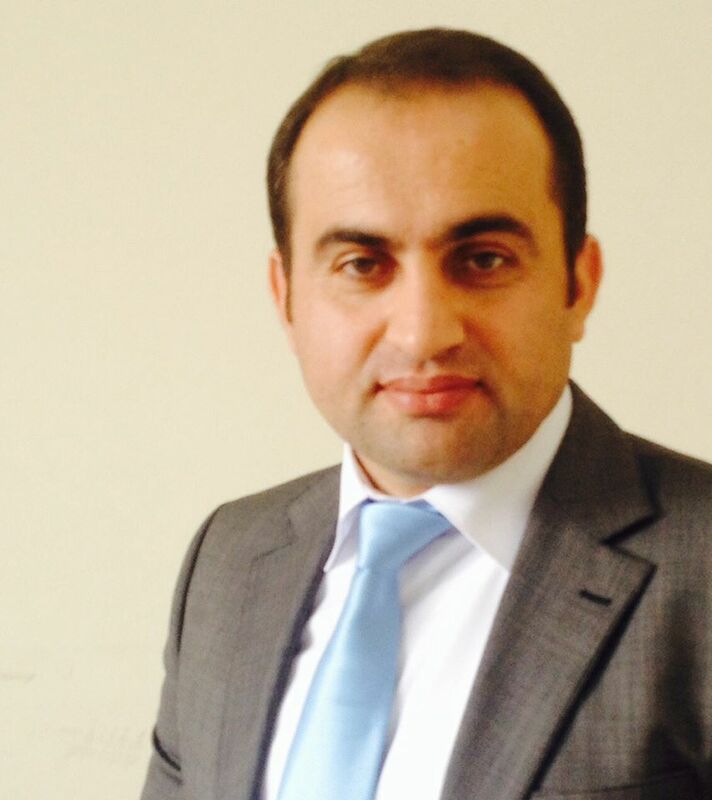 In this article, I will concentrate on the regional concern through focusing on Kurdish nationalism. Ankara sees that the expansion of Kurdish nationalism, and its military power through US support, will create zero-sums condition with Ankara. The Kurdish gain will automatically cause Turkey to lose, this having increased the tension between Turkey and its allies. such as the US, and even the EU. According to the US policy in the regional context towards Kurds, they will support them in the war against ISIS, because none of the US, or the EU are in a position to fight ISIS on the ground. Hence, the Kurds are the main non-state actor that may perform that role for them. It is worth mentioning that Kurds are acting as a regional non-state actor that engage in direct military operations against ISIS, and approve their capacity to prevent ISIS from further expansion in the region. However, Ankara has a different perspective in its policy with Syrian Kurds, and it treats them in the same way as they do with the PKK. Therefore, Ankara will not tolerate any direct US support to the People’s Protection Units, YPG on the ground. This has been clear in Ankara’s recent reaction to the YPG logo that appeared on the US solders’ military uniform inside Syria. The United States officially stated on the Turkish concern, and made its justification, the US army speaker insisting that what happened does not reflect US policy, and is a personal behavior rather than official arrangement. However, Ankara pointed out that Washington has double standards in its dealing with terror, and that Ankara will not accept forming a NATO partnership to support what Turkey considers a terrorist group. Hence, this will complicate Ankara-Washington cooperation towards collective efforts in the war against ISIS, and may change Turkish priorities again in its foreign policy, particularly the security policy that serves NATO and western strategy in the region. To that extent the zero-sums scenario reflects the Turkish perspective towards Syrian Kurds. The red lines for Turkey in Syria are Kurdish empowerment and the expansion of Iranian influence that will cause loss for its strategic interests in the region.